Get an in-depth look at the 8 most significant vendors providing solutions in this MRM report. Know who to include on your RFPs. Compare capabilites and service levels. The Forrester Wave™: Marketing Resource Management. Register for instant access. Bringing in an MRM system to your enterprise can be a challenge, especially with so many software products available to marketers. Forrester Research has taken an in-depth look at marketing resource management providers using a 35-criteria evaluation process. 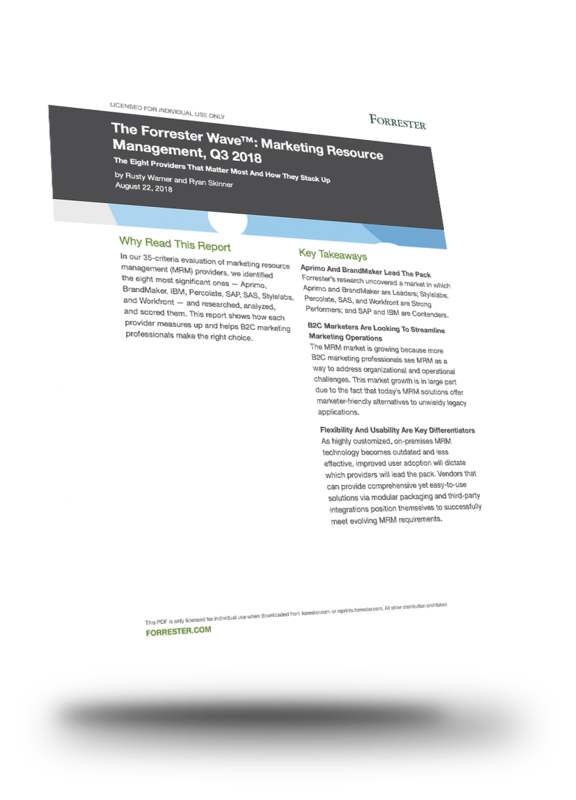 Get your complimentary copy of The Forrester WaveTM: Marketing Resource Management. This MRM report shows how each provider measures up and helps marketing professionals make the right choice when evaluating solutions.